Although that may sound impressive, it’s not exactly what you would think. 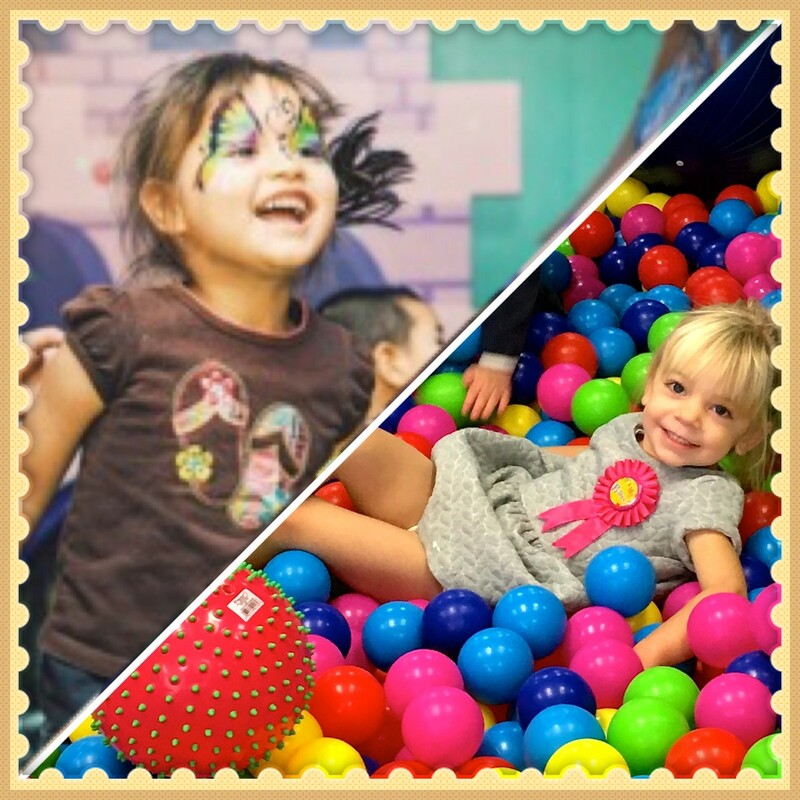 This year, for her 3rd birthday, she found out what multiplication looks and feels like in real life! When we learned of CommuniGift, I sensed that it was an opportunity to grow the impact of our family giving, but I didn’t anticipate the added bonus of our daughter learning multiplication, too. CommuniGift was founded upon the belief that all children, no matter their circumstance, deserve to feel special on their birthday. For some families, the opportunity to throw a birthday party, or even purchase a gift for their child, is out of reach. Meanwhile, as we selected a play place, ordered food, and chose the cake, the spirit behind CommuniGift reminded me that this was plenty. Simone had more than enough to make her feel special on her birthday, so we decided to share her birthday and #giftback! 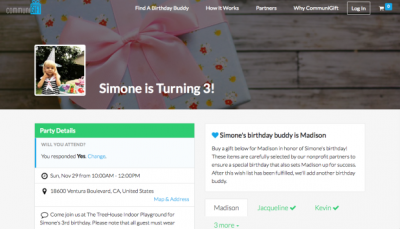 We discovered that through CommuniGift’s interface, rather than having our guests bring presents to her party, we could invite them to donate gifts to her virtual “birthday buddy” instead. In the face of birthday consumerism, CommuniGift was an opportunity to buffer what was already enough celebration for one 3-year-old. 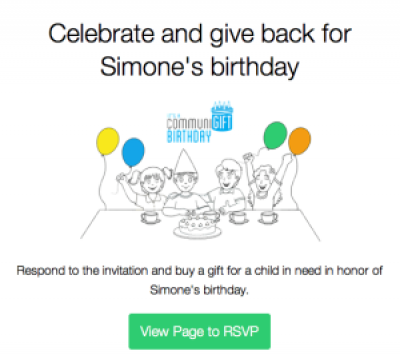 Simone could share the joy and magic of birthdays with other kids, who otherwise might not have the chance to celebrate their birthday this year. Simone, being so young, couldn’t quite fully grasp the effects of sharing her birthday with other deserving kids. She enjoyed looking at her CommuniGift birthday page and seeing all the gifts that would be delivered to her birthday buddies. As she grows, we’ll keep telling this story and reinforcing how her birtday helped others celebrate theirs.